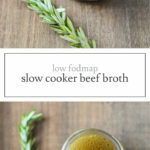 Add flavor to TONS of low FODMAP dishes with this easy Low FODMAP Slow Cooker Beef Broth recipe. Just beef bones, rosemary, water, and salt. Super simple and gluten-free! 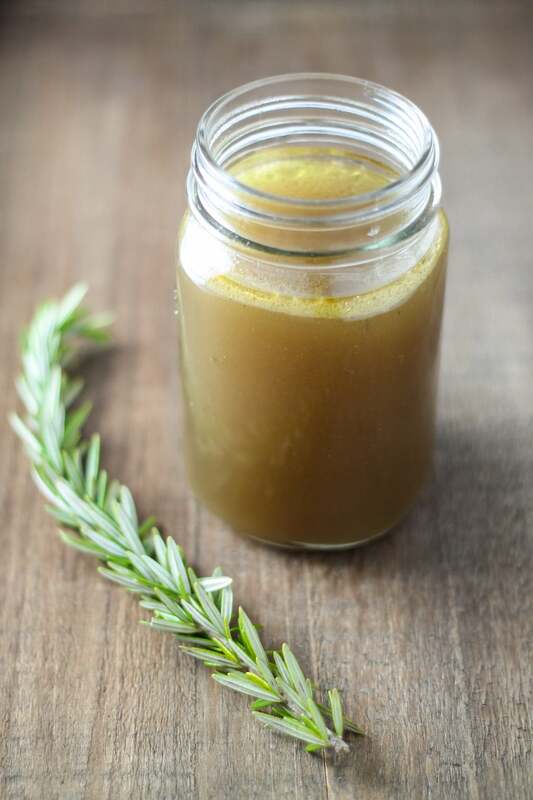 Like my Low FODMAP Chicken Broth, this Low FODMAP Slow Cooker Beef Broth is one of my secrets for adding flavor to TONS of low FODMAP dishes. Great for adding to soups, casseroles, pasta, cooking greens and more, I always try to make extra batches to keep on hand. Tip: Sometimes, I freeze the extras in an ice cube tray and transfer frozen cubes into a ziptop bag for easy additions of flavor and moisture to lots of dishes! Disclaimer: Please double check ingredients before purchasing. 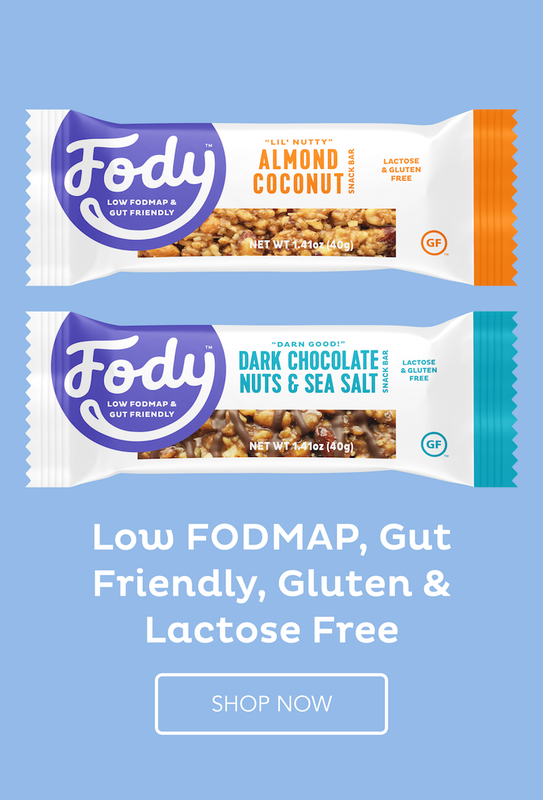 Many of these brands have multiple products and not all of them may be low FODMAP. Ingredients can change and/or vary based on location. If in doubt, please choose a certified low FODMAP product. Place beef bones and rosemary in a slow cooker. Top with water. Cook on low for 8-12 hours. Remove bones and large rosemary stems using tongs. Place a strainer over a large bowl. Pour remaining broth through a strainer. 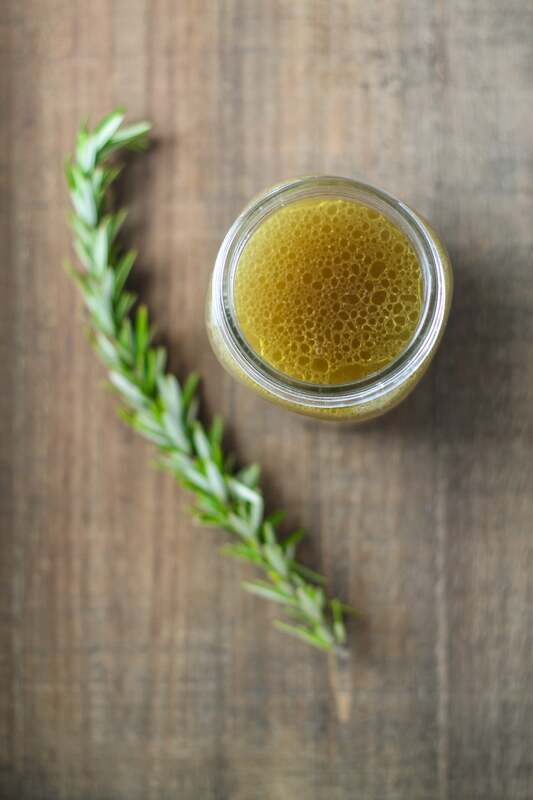 For a clearer stock, strain using cheesecloth to line your strainer. Season with optional salt to taste. Place broth in containers to cool completely. Cover and refrigerate for use within 3 to 4 days. Or, freeze for longer use. Yield: Will vary based on cooking time due to evaporation. Water may be added throughout cooking to increase yield, however, this may result in a more diluted flavor. What kind of beef bones should I use? Great question, Gladine! Most grocery stores or butchers should sell beef “soup bones” otherwise you can save bones from any beef that you might cook (like from roasts or ribs).